The Chilean TVET system has greatly developed with the country’s economic growth – averaging at a 6% annual growth rate over the last two decades – as well as with the Government’s commitment through the creation of the National Council for TVET in 2005 (Consejo Nacional de Innovación para la Competitividad) and the TVET Commission, an external commission organised by the Ministry of Education in 2009 to analyse the previous developments in TVET and to formulate proposals to strengthen and coordinate it with the current needs of Chilean society and economy. This is motivated by the important role that mobilising human capital will have if Chile wants to face the global economic slowdown and continue growing and overcome informal employment, poor working conditions, to include the female labour force and absorb the fast-increasing participation of students after compulsory education. National policy is continuously developing and there is a current reform of the TVET system that started with the creation of the National Council for TVET and set an agenda for the period 2010-2020 (Agenda de Innovación y Competitividad 2010-2020) aiming to develop competitiveness through innovation in Chile, better relations between the educational sector and the industry, strengthening private-public cooperation and an interministerial and an interdisciplinary, multifocal point of view. Furthermore, the initiative to create a qualifications framework set in 2009 by the TVET Commission is seen as a step forward towards the quality assurance of TVET. In addition, there are efforts to help those with particular numeracy and literacy needs among students in vocational programmes. TVET (Educación Media Técnico Profesional) in Chile is regulated by the Law 20.370 also known as General Law on Education (Ley General de Educación, LEGE). The Ministry of Education has implemented Curricular Framework (Decree 220, 1998) and Modular Curriculum focusing on competencies especially for TVET. The Decree establishes economic sectors to which the priority should be given in terms of TVET specialisations. The economic sectors were defined with regard to country’s main development directions. It is worth mentioning that the Decree was adjusted and as a result 21 TVET specialisations were created. In the year 2007 a Decree 2516 was adopted. It regulates the period of professional training for the students who opt for vocational track in their education. CNIC (2010). Evaluation Report of National Innovation Strategy for Competitiveness. Santiago: CNIC. OECD (2009). Chile: A First Report. Learning for Jobs: OECD Reviews of Vocational Education and Training. Paris: Organisation for Economic Co-operation and Development. Web portal of the Ministry of Education of Chile on technical and professional education. Accessed: 02 February 2012. Scheme compiled by UNESCO-UNEVOC from UNESCO-IBE (2011). World Data on Education, VII Ed. 2010/11. Chile. Geneva: UNESCO-IBE. VET in Chile is included in the formal education system which comprises eight years of basic education (Educación Básica) and four years of secondary education (Educación Media). In secondary education students follow a general curriculum during the first two years and in the following two years they have to choose one of the three education tracks that are: Scientific-humanistic education; Artistic education; and technical-professional education. The latter includes 46 specialisation options grouped into 14 economic sectors such as electricity, commerce, tourism, agriculture, maritime etc. Technical-professional education is taught in Technical-Professional lyceums and comprises 12 hours of general education and 26 hours of vocational education. Once students have completed 12 years of compulsory education they receive a secondary school leaving certificate (licencia de enseñanza media) and to obtain the title of middle-level Technician it is compulsory to complete a workplace training (práctica profesional) of between 460-720 hours. The majority of secondary TVET students come from disadvantaged socio-economic backgrounds and 88% attend municipal and subsidised private schools while the rest 12% goes to technical lyceums administered by NGOs. These lyceums are product of a 1980s arrangement where the government allowed industrial corporations and foundations to take over the administration of 70 institutions. On the other hand, fee-paying private schools enrol less than 1% of students (TVET Commission 2009). Non-formal TVET in Chile is developed mainly by NGOs in rural areas dealing with the development of technical skills. No information on informal TVET found. Ministry of Education (2009). Foundations for policies on technical and vocational education in Chile. Santiago: MoE. Webpage of Ministry of Education of Chile on how to choose a career. Accessed: 08 February 2012. UNESCO-IBE (2011). World Data on Education VII Ed. 2010/11. Chile. Geneva: UNESCO-IBE. As TVET in Chile is integrated in the formal education system, the body responsible for TVET and general education is the Ministry of Education (based on the en la Ley 20.370 de 2009) through its main organ the National Council of Education (Consejo Nacional de Educacion): its mission is to approve the educational programmes and plans, curriculum, qualification frameworks promoting the quality in basic and superior education as well as the general management of the national education system. At the same time, the Ministry of Education functions on three levels: national, provincial and regional with one ministerial regional secretary (Secretarias Regionales Ministeriales) in each of the 15 regions in which the country is administratively divided and with a Ministerial Regional Secretary as the representative of the Ministry. It is the responsibility of the Regional Secretaries to plan, organise and supervise the TVET and general educative processes. However the National Innovation Council for Competitiveness (Consejo Nacional de Innovación para la Competitividad) as a public-private body and addressing directly to the president through the ministry of economy is responsible for the development of analysis and recommendations on public policies, pilot projects on innovation as well as for the interaction between private and public sector. Functions related to the design and implementations of the curriculum are coordinated by the Unit of Curriculum and Evaluation (UCE) depending on the Sub secretary of the Ministry of Education. The Accreditation National Commission (Comisión Nacional de Acreditación) is responsible for the quality of education at all levels. Indirect financing- financial support for the participants in form of allowances or grants (becas). Chile allocates 22% more resources per student to general education than to vocational/pre-vocational programmes (OECD, 2009) and two thirds enter general programmes while only one third vocational programmes. Since 1990 in Chile all teachers need to have an academic degree on education (licenciado en educación) and specific teachers in TVET institutions need to have a speciality-specific title, pedagogical courses and professional experience in the field. Teaching programmes for TVET teachers comprise two to four semesters studies in pedagogical and didactical issues related to the different specialities and are offered by Universities. The studies lead to the title of TVET teacher (Profesor para atención de especialidades técnicas de la educación media técnico-profesional). Since 1999 the idea of recognising experiential learning has been present and there have been multiple attempts to establish a coherent systematic programme. This happened in 2002 when the Chile Qualifies programme led the institutionalisation of the National System for the Certification of Labour Competences and approximately 30,000 workers obtained certificates validating their working experience. However, these certificates have not been recognised by the formal education because of legal problems. It does exist a Framework of Labour Competences that was originally envisaged to apply to TVET as well as workplace-based training, but the 2010 ILO Report on Implementation and Impact of National Qualifications Frameworks shows that it has been mainly used in the latter. This framework concentrates on the validation of existing working skills but on going proposals and plans are taking place to create links between secondary vocational education and the labour market trying to establish a system of competences relevant to market demands, and evaluating and recognising experiential knowledge. Actually only a qualifications framework exists for the mining sector with 9 levels in theory, but 5 levels for which qualifications have been developed (ILO, 2010). Through the Chile Qualifies programme, an earlier attempt was made to create a comprehensive NQF and after some research plans were developed from 2003 to 2004. And finally in 2007, a contract was arranged with the Australian Department of Education, Science, and Training to assess the implementation of a NQF. Finally, the Quality Assurance Framework set up in 2006 for higher education was a clear approximation to European standards - specifically the Latin American Project to implement the Bologna Process agreements— (OECD, 2009) to try to align Latin American higher education with European higher education. The 2010 ILO report advances the idea that the Labour Competence Framework is also seen as an important component of the proposed NQF. ILO (2010). The Implementation and Impact of National Qualifications Frameworks: report of a study in 16 countries. Geneva: International Labour Organisation. 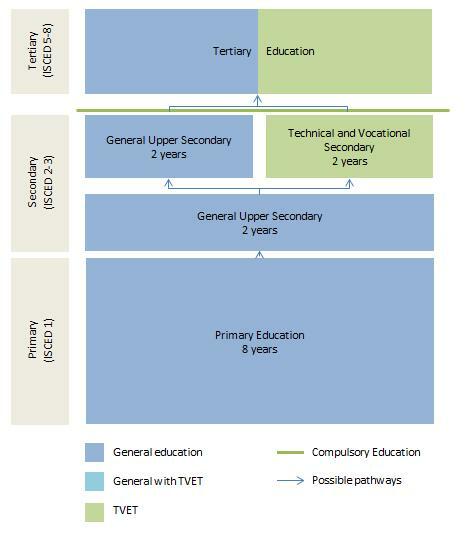 There are new proposals of the TVET Commission to create linkages between vocational education and the world of work consolidating a system of competences that will be relevant to market demands, evaluating and recognising experiential knowledge. In the meantime, a qualifications framework has been set up in the mining sector (ILO report, 2010). Careers guidance for VET students is relatively weak. Other challenges involve as well the fact that enrolment of tertiary students is highly concentrated in a small number of institutions – three institutions enrol 54% of CFT students, and three institutions enrol 51% of IP students (TVET Commission, 2009). ILO (2010). The Implementation and Impact of National Qualifications Frameworks: report of a study in 16 countries. 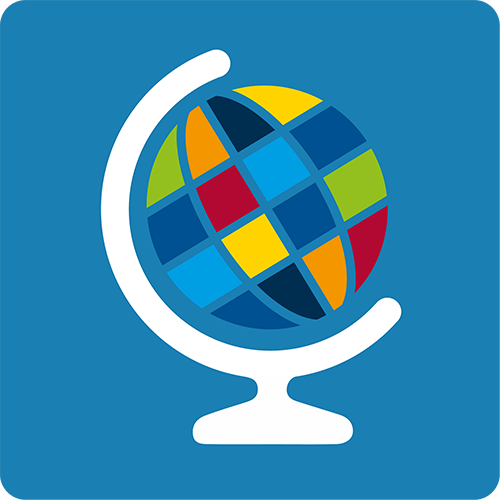 Geneva: International Labour Organisations. Ministry of Education (2009). Foundations for policies on technical and vocational education in Chile. Santiago: Ministry of Education.